Trejdify Top Stories: How to beat Warren Buffett? How to beat Warren Buffett? Warren Buffett's (no introduction needed) current net worth is about $50 billion and he has a quite good track record from the financial markets. But is it possible to beat that track record? Daniels Trading says it is possible, not by investing in stocks as Warren Buffett did, but by using the art of "Trend Following." 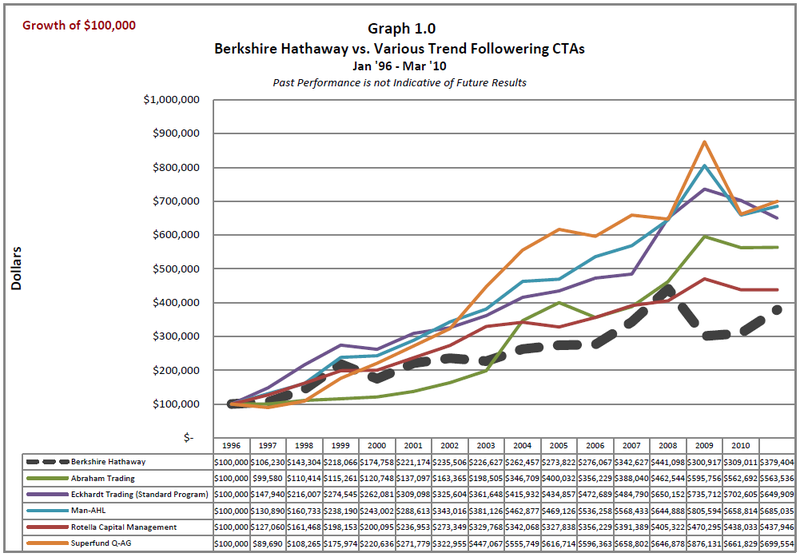 One can clearly see that the companies who are using Trend Following as their method to make money, did beat Warren Buffett. 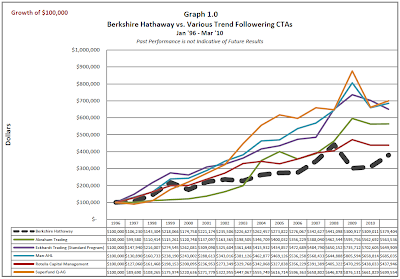 What is interesting is that - in total - 46 Trend Following companies did beat Warren Buffett (all of them are not in the chart above).